Improve Health & Confidence with Dental Implants! Do you know that your jaw and gums react to the loss of even a single adult tooth? 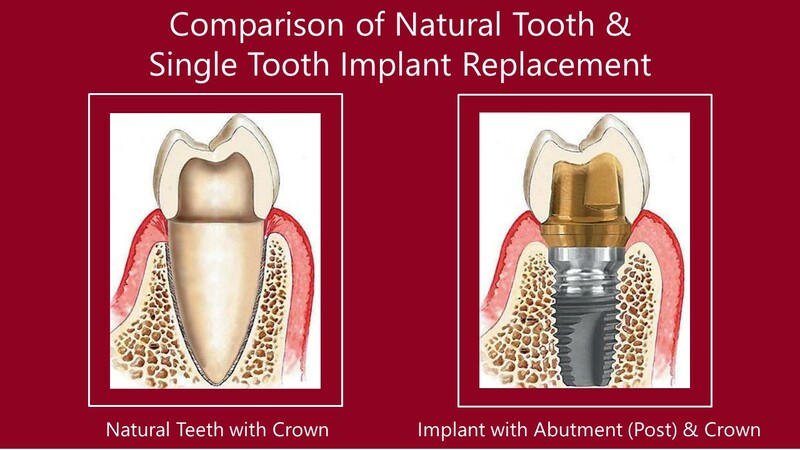 That’s why we recommend the tooth replacement with a dental implant at Aria Dental of Mission Viejo, California. Whether a tooth is lost due to injury, disease, decay, or aging, it causes more harm than a gap in your smile. It causes irreversible jaw bone loss, creates imbalanced bite, and makes difficulties in proper chewing which lead into a serious long-term problem in your oral health and overall wellness. 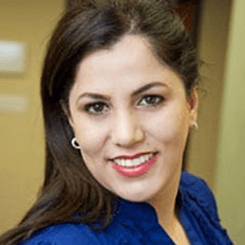 At Aria Dental of Mission Viejo, our top cosmetic dentist, American Board-Certified Periodontist and Implant Specialists offer the highest quality dental implants to replace any of your missing teeth to avoid the conventional bridge approach to preserve your jaw bone and adjacent teeth. 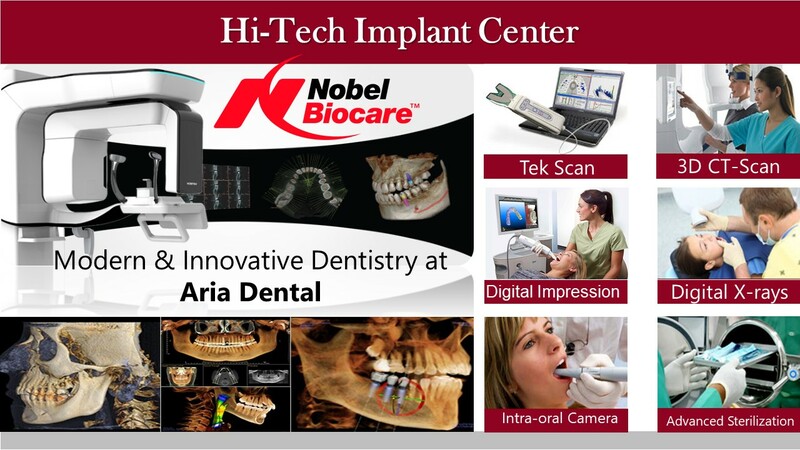 What Set Aria Dental a Part to Be the Top Dental Implant Center in Southern California! Dental implants, a top dental procedure at Aria Dental, are a tooth replacement option that is modeled on the structure of your natural teeth. Implants are a more reliable alternative to dentures or fixed bridgework because there is no risk of developing bone damage. Unlike dentures and removable bridges, single dental implants do not need to be removed for cleaning and can be brushed and cleaned just like natural teeth. Dental Implants have a success rate of up to 98% and can last a lifetime with proper care. Dental Implants are the only cosmetic dental procedure that preserves and stimulates the growth of natural bone. If you are missing one or more teeth, implants can allow you to regain normal function and be able to confidently show off a nice smile once again. Dental implants help you eat, chew, smile, talk and look completely natural. This functionality imparts social, psychological, and physical well-being. PRESERVE ADJACENT TEETH: A restorative option like a fixed bridge often require cutting down the adjacent healthy teeth to support restoration. A dental implant, a long lasting and less invasive solution, looks and function like a natural tooth and replaces a single tooth without sacrificing the surrounding teeth, like a bridge or partial dentures does. STOP THE TEETH MOVEMENT: If you have a missing tooth, the gap is not only cosmetic concern. When there is a gap due to missing tooth, it will cause surrounding and opposing teeth to shift, which ultimately lead to uneven crowded teeth as well as change in your bite and pain in your facial joint. A dental implant will keep your teeth aligned and prevent the further dental problems. PRESERVE THE BONE & STOP SINUS MOVEMENT: Dental implant unlike a fixed bridge can help you to preserve the health of your jawbone from deteriorating. It also prevents your sinus to drop into your jaw bone. IMPROVE HEALTH & ENHANCE CONFIDENT TO SMILE: A Dental implant helps to regain and rejuvenate your smile by giving the bone plenty of stimulation. Dental implant make you look younger, healthier, and more beautiful. Is the Tooth You May Not See Still Important? Some people think that it is ok to have missing back molar tooth because you can’t see them…. • The adjecent and opposing teeth shift into the space left behind, which could cause jaw pain, headaches, broken or cracked teeth, and severe wear. • Because your jawbone is no longer stimulated, it will recede…causing a sunken face and aged appearance. • As chewing become more difficult, you favorite foods will go wayside. Our primary goal is prevention, but if one or more of your molars needs support, we can help.